Today’s #BookADayUK is one I have reread most often. I could say that it’s rather the author who I have reread most often rather than a particular book. But I did read the majority of his books more than once; Matilda, James and The Giant Peach, Charlie and The Chocolate Factory, Charlie and The Great Glass Elevator, The Twits, The Witches, Fantastic Mr Fox and one of my old-time favourite’s – The BFG. I remember the summer of 1992. It was a summer spent disco dancing on the front driveway. 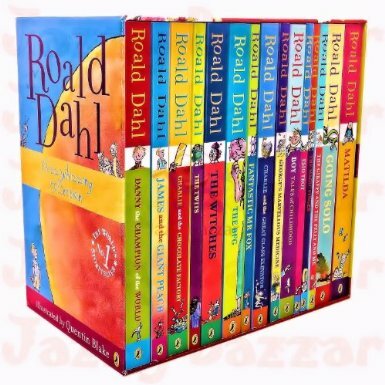 It’s also more memorable as the summer I read a lot of Roald Dahl, tucked up in my sister’s room when I had made her swap room’s for the whole holiday. This entry was posted in Book A Day UK, Celebrating Other Businesses and tagged Book, Book A Day Uk.